Want to learn how to use medicinal mushrooms? We've got you covered! This post covers the health benefits of medicinal mushrooms and our top 4 favorites to try! It may feel like the “hot new trend” in the health world but the truth is, mushrooms have been used for medicinal purposes for hundreds (if not thousands) of years. Medicinal mushrooms can be used for all sorts of things, but are best at helping your body adapt to stress. 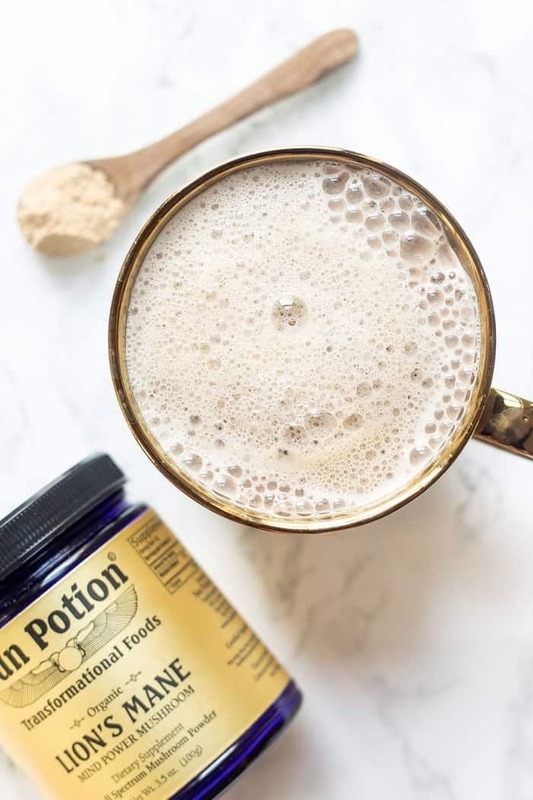 Ever heard of the term “adaptogen”? That’s where it comes from. 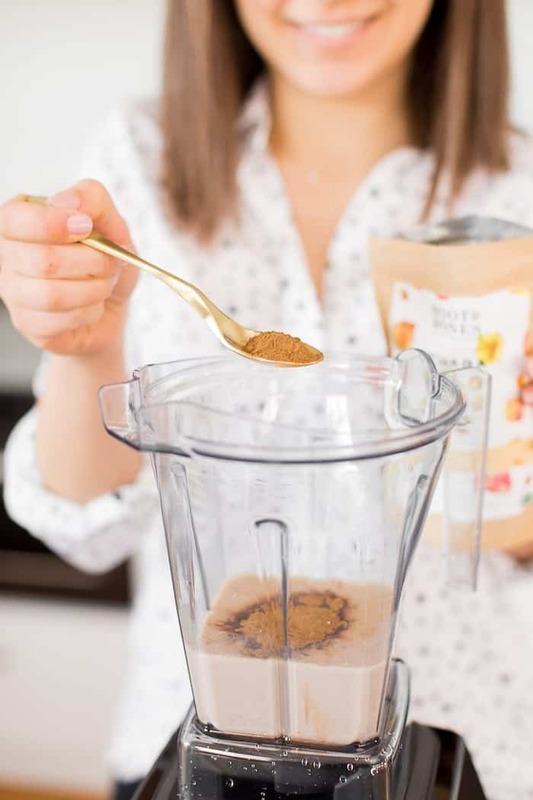 Because these powders (mushrooms & herbs mostly) are helping your body adapt to internal and external stressors. 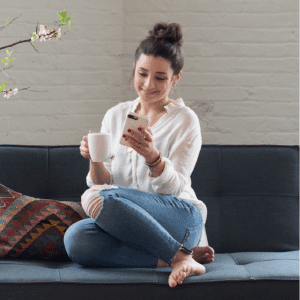 Basically, if you’re dealing with an “ailment” like low energy, inflammation, adrenal fatigue, overall stress, etc., there is likely a mushroom you can add into your address that addresses those symptoms. But the trouble is, there are so many different kinds of medicinal mushrooms that people don’t know where to start. So in today’s post, we’re going to be talking about my top 4 favorite medicinal mushrooms. I’ll share why I like them, how to take them and the benefits you can expect from each. First, let’s talk about what to look for and where to buy your mushrooms. The first rule of thumb is QUALITY! As with any supplement, quality is king. My three favorite companies are Root & Bones, Sun Potion and Four Sigmatic. I’ve done a lot of research on each and am confident in their sourcing and quality. 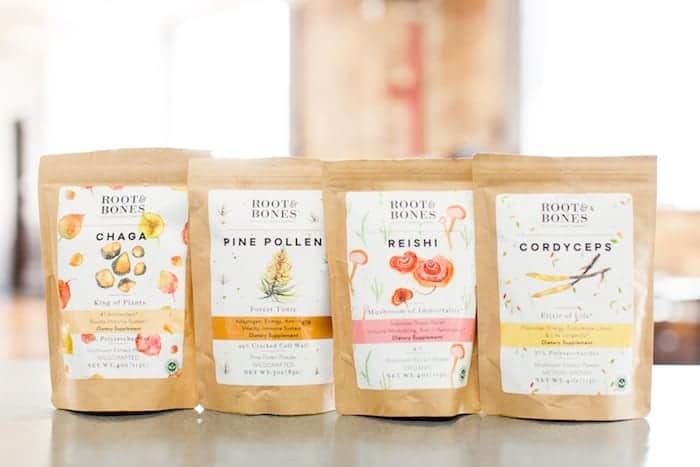 I love Root & Bones because it’s female owned. 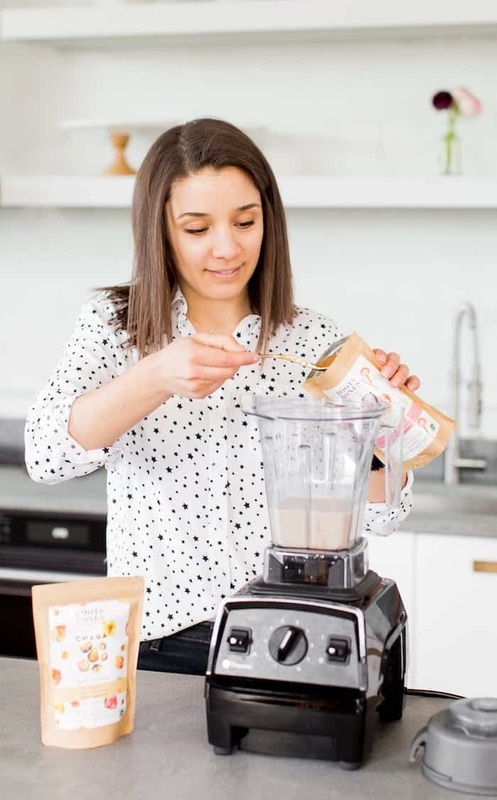 The founder, Alyssa Melody is a Chinese herbalist and has studied and worked with herbs for over a decade. She carefully sources the highest quality and most-researched herbs and delivers them in sustainable pouches. Most of them are wild harvested and I have felt nothing but great since I started using them 2 years ago. So much so that I even have a discount code for you: use simplyquinoa for 15% off your order! What I don't recommend? Searching on Amazon and picking a brand that you've never heard of because it's less expensive. You never know where those are coming from (or what else is inside), so I definitely recommend one of those three brands. On their own, medicinal mushrooms have a very bitter flavor to them. You won’t want to add them into water and drink them straight. Or at least I don’t! 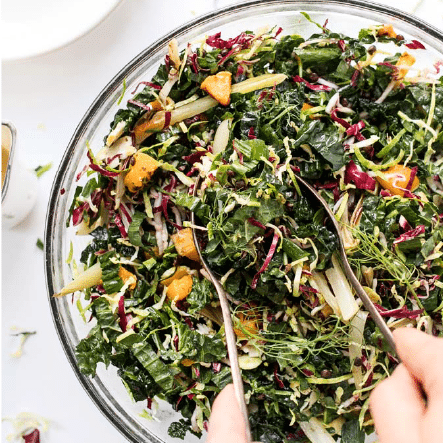 Since the mushrooms are in powder form, they’re super easy to add into almost anything. I add them to my smoothies, my morning matcha, sometimes Matt’s coffee and even tea. I find that when I have something else that’s flavorful, I don’t taste the mushrooms at all. Like I mentioned, today we’re just focusing on my top 4 favorite medicinal mushrooms. Why? Because there are just too many to count! There are hundreds of types of mushrooms and many of them can be used for medicinal purposes. SO…we’re going to keep it simple and stick with 5! 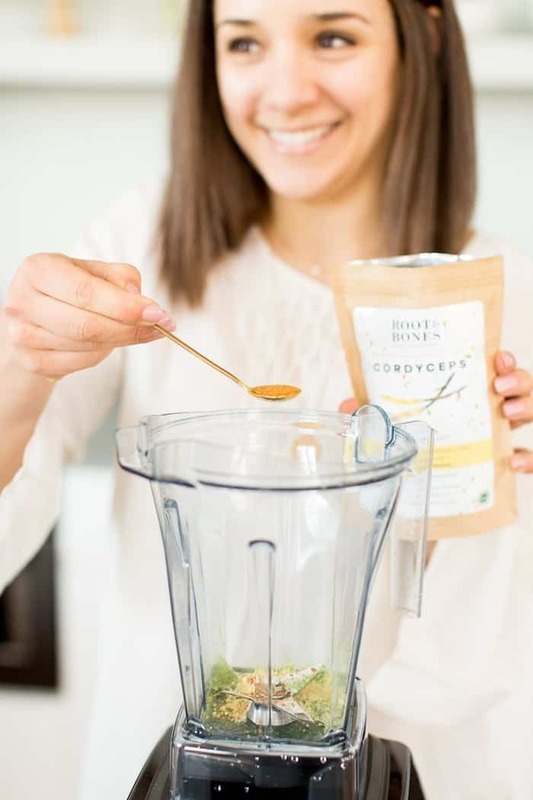 Cordyceps fight free radicals (compounds that cause damage to cells and DNA in the body), infection and inflammation. They also help with fighting stress and fatigue. 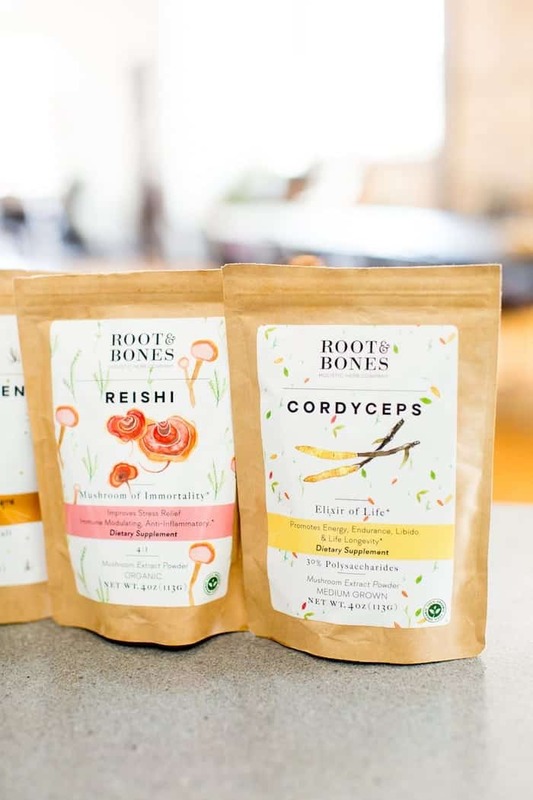 They’re great for those of us with a busy lifestyle – if you workout regularly or are always on the go and maybe feeling a little worn out, cordyceps is for you. I like to take cordyceps in the morning or before I workout! This mushroom is popular… in mushroom world at least! If you’ve seen mushroom coffees, this is often the main mushroom in the blends. 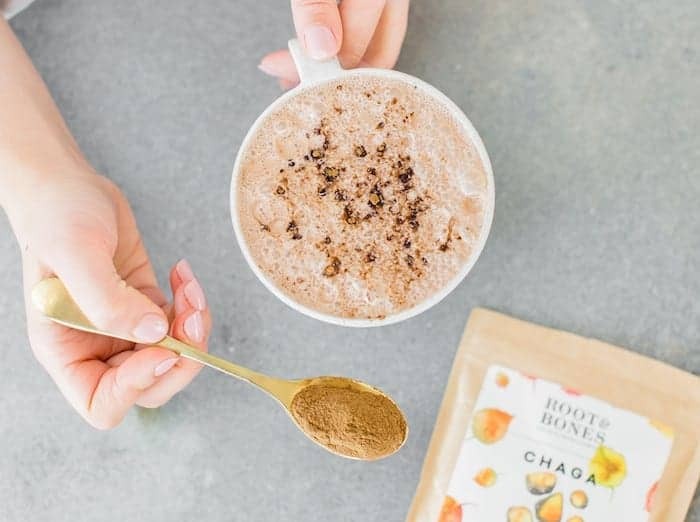 Chaga is a powerhouse ‘shroom. It has been shown to prevent and treat cancer, support the immune system, is anti-viral and reduces inflammation. For those of you that want to fight disease and continue to look and feel young (yes please!) this mushroom is for you. 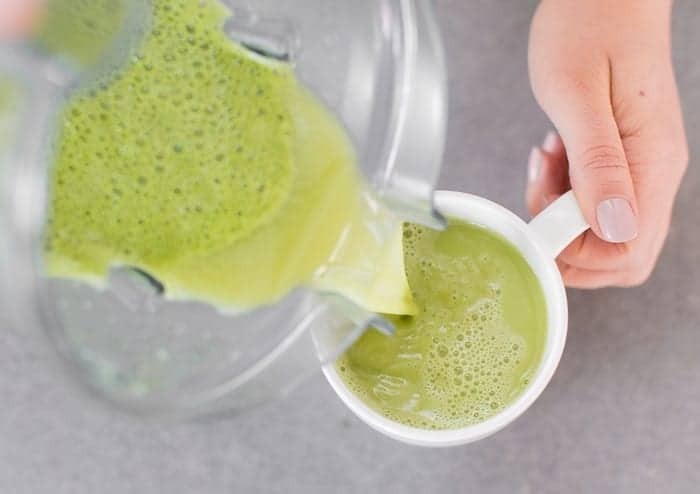 Chaga is great for the morning and is regularly part of my matcha blend! Another powerhouse and popular medicinal mushroom! 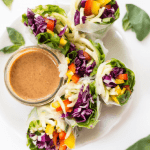 They are the ultimate balancer – they help balance the immune system, digestive issues, skin issues, sleep disorders, mood issues, hormones… the list goes on. 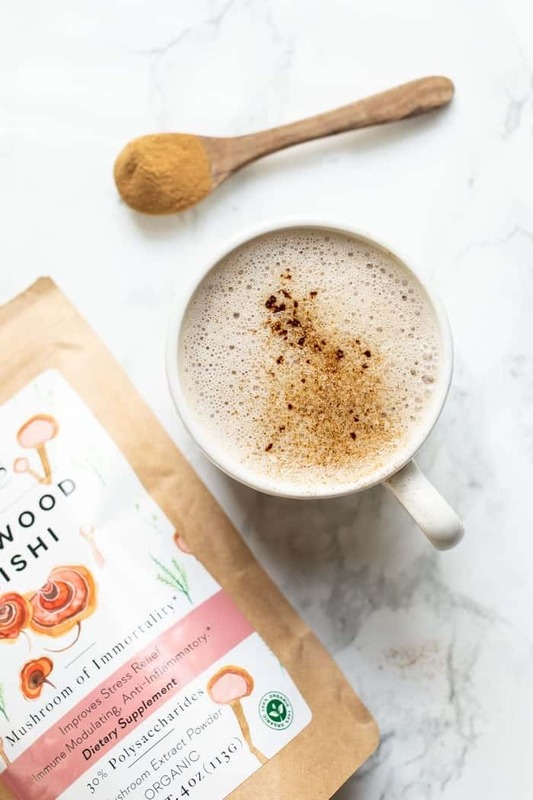 If you are feeling unbalanced, out of whack or just need some support with stress relief, you might want to incorporate reishi into your routine! 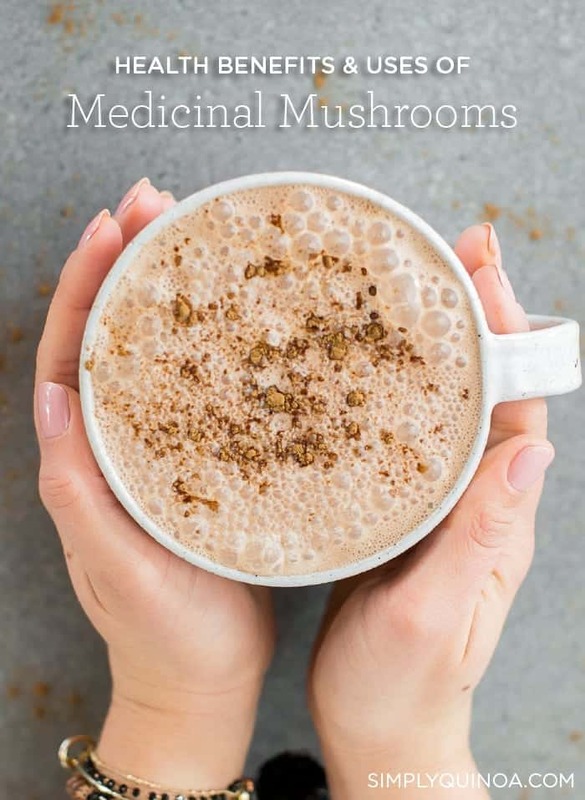 Reishi is great for the evening as it’s pretty calming too, so I often add it into my turmeric milk or hot chocolate at the end of the night! Feeling a little foggy or slow on the uptake? Lion’s mane could be the perfect mushroom for you! Lion’s mane is most often studied for its benefits on cognitive functions, with new studies pointing to its powerful abilities when used by people who have Parkinson’s and Alzheimer’s disease. But it’s also great for gut health! Consuming Lion’s mane regularly can help support digestive health and the circulatory system. I like adding lion’s mane into my morning smoothie as I find it’s a great way for me to stay focused on clear headed! 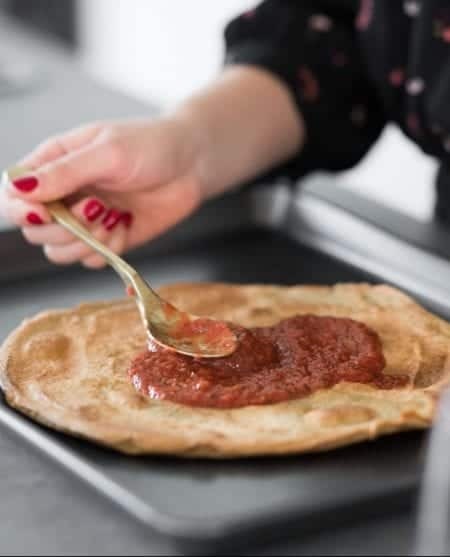 It’s time for you to try some for yourself! If any of the above benefits sound like something you’re struggling with, then I suggest giving that mushroom a try. I don’t think you need to try them all at once though. I think starting small and slow and seeing how they work for your body is definitely the way to go. And of course, if you have any questions for me, just leave me a comment down below! Love, love, love all of the info you provide. I’ve purchased the hot cocoa packets. Saw this on YouTube and wondered what can be done for fever blisters. I takyblysine and vitamin c every day. Sometimes it’s from stress and other times from a very acidic sauce. I’m lactose intolerant. And I’ve been gluten free for about three years due to trigger thumbs. So back to the fever blister. They now tend to return to same spot on my lip, which is sensitive. I picked up a lysine lip balm and that seems to help, just wondered if there was something else I could do as well. Thanks. Thank you SO much! Glad you found it helpful. It sounds like you’re doing what you need, but you could look into essential oils perhaps!